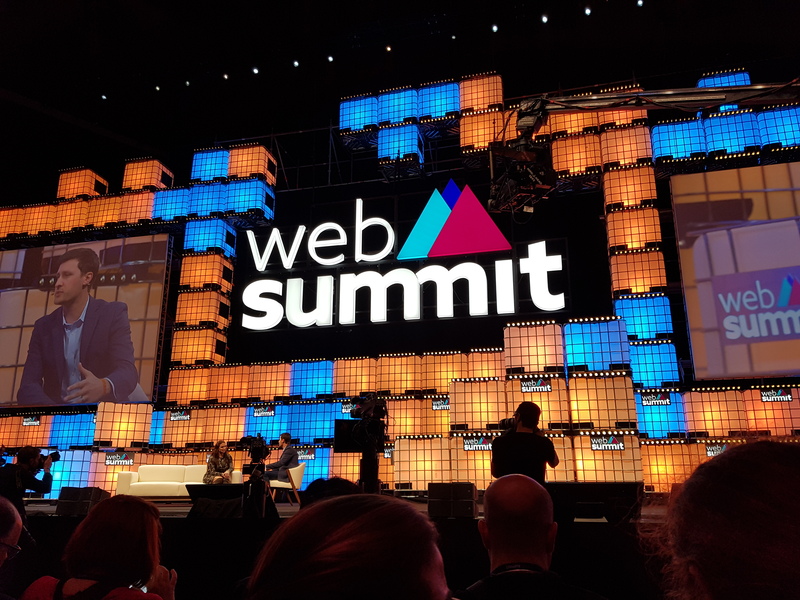 My first time at Web Summit, my first impression: it is massive and I say Massive regarding the numbers of stages (24), speakers (1200), partners, startups (1800)… but specifically regarding the number of people (70.000). We can say “it is crowded” to the point that it could frustrated visitors. With nearly 70.000 attendees from over 160 countries, more than 1.200 speakers, over 1.800 of promising startups, Fortune 500 companies, 24 tracks to follow and over 200 employees working really hard to prepare it, Web Summit grew to be the largest technology conference in the world, and has been called the best one on the planet (Forbes), Davos for geeks (Bloomberg) and Glastonbury for geeks (The Guardian). The 2018 edition in Lisbon is over and it’s time for takeaways. But what is Web Summit? Well, in a nutshell, it’s something that started as a “simple idea” in 2010—to connect people in the tech community— evolved into the biggest technology conference in the world. The Web Summit might be the biggest technology conference in the world, but it isn’t the most techie one for sure. The idea of this conference was to bring the tech people and industries together — and this objective is being realized year after year with great success. The Summit saw an enormous growth in attendance — from 400 people in 2010 to 70.000 this year, gathering founders, CEOs of technology companies, policymakers, heads of state and startups. This year on the Web Summit 44% of attendees were female versus 24% five years ago — this is undoubtedly an impressive and very positive change. The organizers’ attempt to make women visible as speakers and moderators were also clear, which I absolutely applaud. But does it mean almost half of the people working in tech are women? Sadly, still no. As mentioned above, the Web Summit is not the most techie conference in the world. There are attendees from fields such as web and mobile development, artificial intelligence, augmented reality, but also marketing, PR, user experience, health, tourism or project management. Some of these fields are doing much better in the parity game than tech is. The range of topics was very broad: From blockchain and cryptocurrencies to artificial intelligence and machine learning, from virtual reality to autonomous vehicles and shared mobility. The conference hosted the inventor of the World Wide Web, Tim Berners-Lee, but also top managers from global tech companies, such as Apple, Google, and Netflix. Even famous politicians, such as EU Commissioner Margrethe Vestager and the United Nations Secretary-General António Guterres, were amongst the speakers. Impressed by that many inspiring talks and great conversations at the Web Summit. So many crazy ideas were presented at the conference. Astonishingly, everything looked like it could become reality. For instance, electric aircraft, such as the Volocopter and the Lilium aircraft, which simply bypass traffic jams. Another example is robots with artificial intelligence, such as “Furhat” from Furhat Robotics and “Sophia” from Hanson Robotics, which become more and more human. Such AI-powered robots can express an increasing number of emotions and can even sense the emotions of another person. a bit scary. Another point was the discussion about digital human rights, of which we should not lose sight. From our present point of view, we already have human rights and many countries accept them. However, with new technologies like cloud, artificial intelligence as well as autonomous systems, we not only gain lots of advantages, threats might arise as well. How can we ensure that all these technologies are used only for the good of all and that each person’s rights are accepted in a digital ecosystem? Should everyone have the right to access the Internet to educate themselves and have the same opportunities? What impact has this topic in our daily work? Some of the world’s most influential companies have joined us at Web Summit at the beginning of their startup journey. Over the years we’ve welcomed OnePlus, Stripe, Nest, Uber, Careem, and GitLab when they were still early-stage startups, looking for funding, partnerships or figuring out their next move. I create my list of AI and machine learning startups that I had the opportunity to see there. Labelbox is an enterprise ready training data creation and management platform designed to rapidly build artificial intelligence applications. Engineer.ai is a human-assisted AI engineering team that builds and operates technology projects; from new apps to managing cloud spend. Ultimate.ai is a platform that gives customer service agents the AI tools they need to provide faster, smarter responses. DigitalGenius brings practical applications of deep learning and AI to customer service operations of leading companies. Mobacar use AI and machine learning to predict what mode of transport travelers want, instead of giving them an endless stream of transfer options from an airport. Unbabel is an artificial intelligence powered human translation platform, with a focus on the translation of customer service communications. 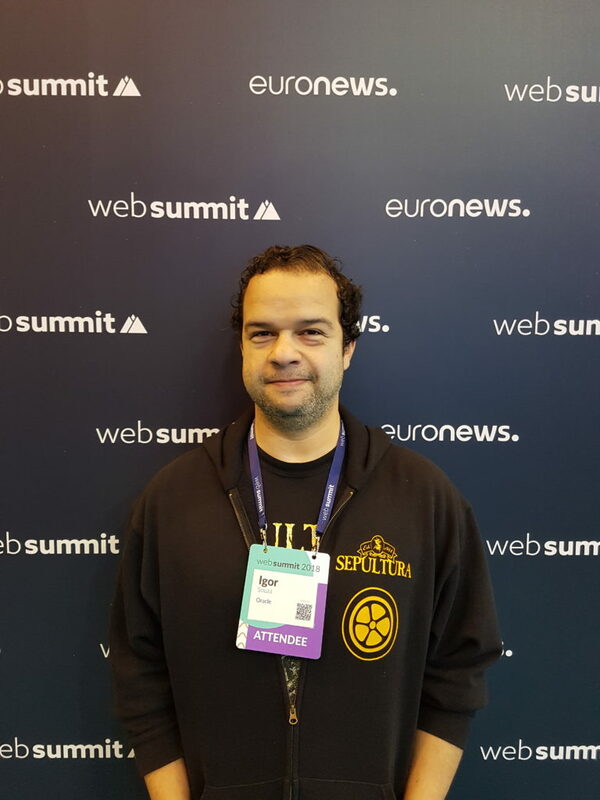 I list some of the notable crypto-industry related developments during the Web Summit 2018. Yet another digital currency platform, BTC.com, and social trading platform eToro announced a partnership to drive cryptocurrency adoption at the event. The partnership was marked by BTC.com giving away pre-loaded cards with 0.0030 BCH (roughly $2) to attendees visiting their stall. Apart from the giveaway, BTC.com’s stall acted as an information center where people can get all their questions regarding cryptocurrencies answered. eToro also announced the launch of its eToroX wallet, which will soon get additional functionalities like support for more coins and fiat tokens, crypto-to-crypto conversion, fiat deposit, and payment in-store capabilities. The first 100,000 people downloading the new eToroX wallet get to receive 0.1 ETH (approx. $21) in their respective accounts. Not everybody knows that all of the talks from the 24 paths become available online after the conference. At the moment there are almost 300 videos from last week accessible on the Web Summit’s youtube channel.